Ferdinando Carulli lived from 1770 (Beethoven’s birth year) till 1841. He was one of Europe’s most famous guitar players, and one of the first to elevate his instrument to the level of a mature and serious classical solo instrument. His guitar concerts in Paris were famous, and he attracted guitarists from many countries, whom he taught his art. Carulli’s works were very important for the development of guitar technique: his works abound in virtuoso features like glissandi, quick arpeggios and rapid ornamentation. 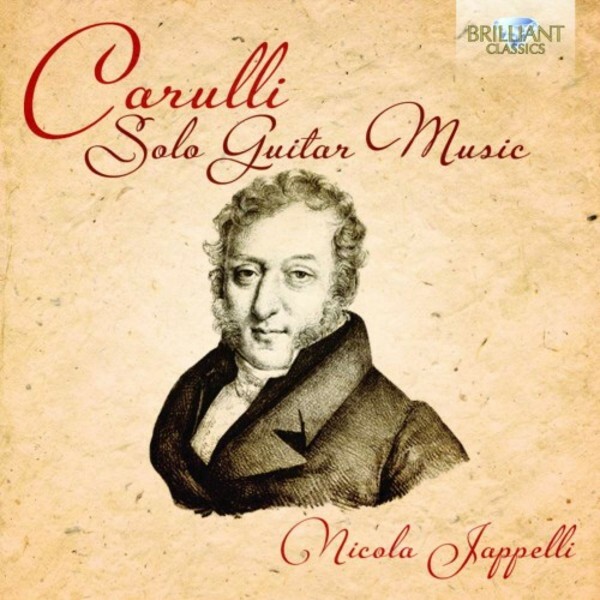 Nicola Jappelli is a guitarist and composer specializing in historic performance practice, reviving lesser known composers from the Golden Age of the guitar. He presents a generous and appealing selection of Carulli’s solo works: Divertissements, Valses et menuets and other character pieces whose names already betray their style: charming, lyrical, brilliant and colourful. The booklet includes information about the composer, works and performer.